Floodplains are an important part of a healthy function stream system. Restoring floodplain within impaired stream systems can increase biotic diversity, minimize flood hazards, provide sediment storage and improved water quality, reduce channel incision, and improve instream habitat for aquatic and riparian species. Assessing restoration projects gives valuable insight into the successes and limitations of human constructed remediation efforts and is key to understanding how these degraded systems react to human induced change. Terrestrial LiDAR surveys, longitudinal profiles and cross sections, and habitat mapping were conducted before and after the installation of the Butano Creek Floodplain Restoration Project to assess the geomorphic responses that have occurred in Butano Creek San Mateo County, California. 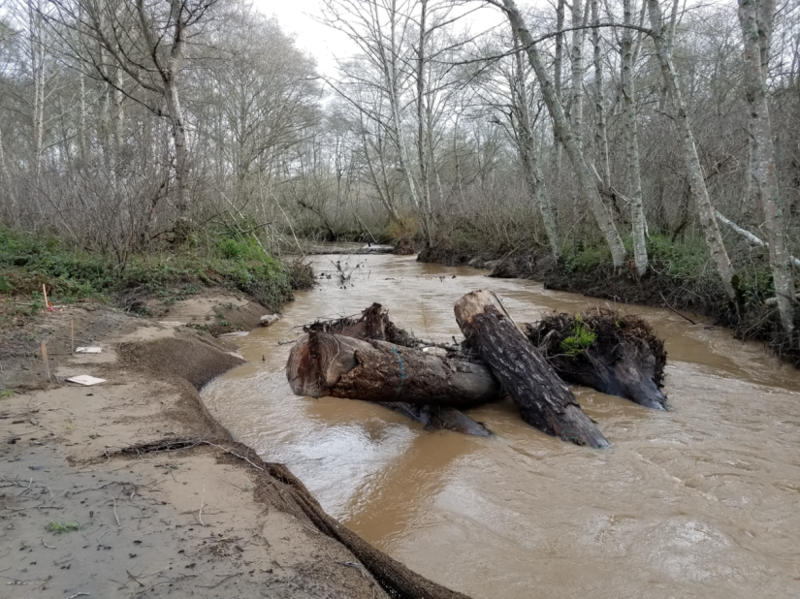 A net sediment storage gain of 760.8 m3 was recorded within the surveyed areas of Butano Creek channel, 125.5 m3 of sediment was recorded as stored within the floodplain, and total pool volume increased 2,421 percent. The methods for assessing stream restoration projects presented in this study can be useful tools for resource managers, conservationists, watershed stewards, and other professionals who want to further our understanding of these complex systems and the impacts of human restoration efforts.